Review code provided by Melbot Studio. Look at them, just look at how cute they are, very cute. 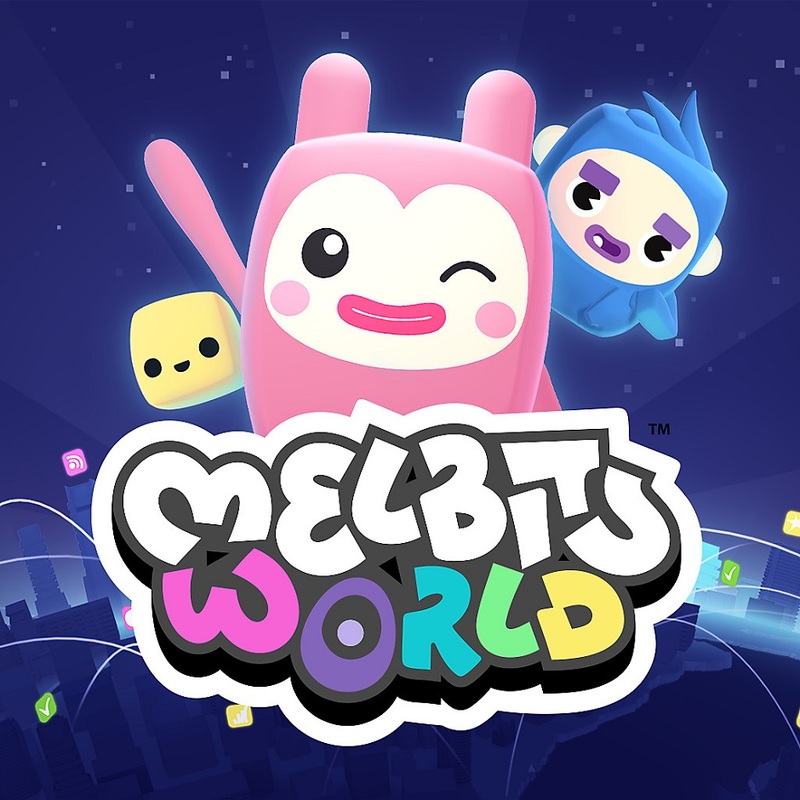 Melbits World is a cooperative puzzle platforming game that runs on cuteness and anarchy made by the creative minds from Melbot Studio. The game is for all players, from the very young to your grandparents, just about anyone can pick it up and have fun. This game has no story to speak of, it is just a bunch of cute little characters of all shapes and sizes trying to collect new outfits and make through each level while dancing a surprising amount. The characters do have a distinct personality and being able to customize them and stay customized over time gives them a sense of life and connection to the players. Melbits World works with PlayLink on PS4. This means that you will rarely, if ever, use the controller once the game is started. Each player will need a smartphone or tablet and download an app for the game which will in turn become the controller. The game is made up of small levels in which the Melbits will pop out of a tube and walk in the path in front of them. The players must move bridges, use springboard, raise or take down walls and many more different environmental interactions in order to make the path for the Melbits to reach the end of the level. Most of the interactions on the phone feel really good, they are smooth and function very intuitively. This makes levels smooth and fun and about communication while making sure you are doing your job in the level. There are a few motion based and spinning based environmental interactions that are kind of hard to use and are not as reliable. This is not a game breaking issue, but it does can be a little frustrating. The game is playable with two or more people, it will divide up the different environmental interaction evenly and give everyone a few seconds to mess around with their interactions before the Melbits start walking. There is a surprising amount of variety in way a player interacts in the world and the Melbits themselves bump into each other, can be attacked by monsters and can even pick up weapons to fight monsters which adds a lot of flavor to every level. Crazy amounts of cute adorableness. The bright colors, cute simple face with everything being bouncy/squishy make the game wonderful to watch and play no matter what is happening. Even the bad guys are cute. The level design is well shown even though all the colors are varying shades of pastel with no real hard lines or borders. Among the chaos of trying to help the Melbits, this game could have lose its players with bunches of moving colors, but everything works very smoothly and is visually pleasing. Again, to hear the little Melbits bump into each other, say hello or even die is adorable. The music is fun and bubbly, keeping the player in the mood to play another round. The variety of sounds and music is lacking, but it is so cute and upbeat that it doesn’t become annoying no matter how long you and your friends plan to play. This game is not very long. It has four worlds as of now and a bunch of levels per world. The replayability really comes down to new groups of players that want to just goof around for a bit or a strong group that want to push through the whole game in a few hours (or less). The levels do have a strong satisfaction when completed even if completed several times before. There is also a fair amount of different clothing items and accessories that can be hunted down in most of the level as well as cute little cubes to collect which unlock more levels and higher grades in levels. I wouldn’t assume a group of people would gather and play this game for hours and then play through it again the following night. It is really reliant on newcomers, general family fun and it being a game that a fairly diverse group could pick up and play for a little while. Any kind of single player, this game can’t even be played by yourself. If the option to play alone cut half the levels, gave your phone of all the interactions (making the game very difficult) or anything at all, it would be better than having no single player mode. I understand this is a party game, but it is a let down that I couldn’t even access the levels without another devices running in the game. Also, the game should be a bit longer for its $15 price tag. Even if there are collectibles and new people to play, it is hard to justify that amount of money with less than 50 levels in the game, especially when each level only takes a minute or two to finish. Lastly, even though the game play is simple enough, only having one or two interactions with the level per person, the levels get very difficult to coordinate at times and you can lose Melbits to a fall or accidental bounce because of so many things happening at once. Things often snowball very quickly even after the first mistake happens, this can put one Melbit running into other Melbits or just a straight irreversible death march. It is a natural design of the game, but it is something that could have been fixed with an easy restart button or one time rewind function per level, something to help not mess up most plans when one mistake happens. It is a fun game for sure. It is a good party game, especially when there are kids who want to play or there is a person that is hesitant about video games. The bright colors and overflowing cuteness are really entertaining, but the lack of single player altogether and general lack of content leaves this game feeling like those big chocolate bunnies from Easter, cute and tasty, but unfortunately hollow.